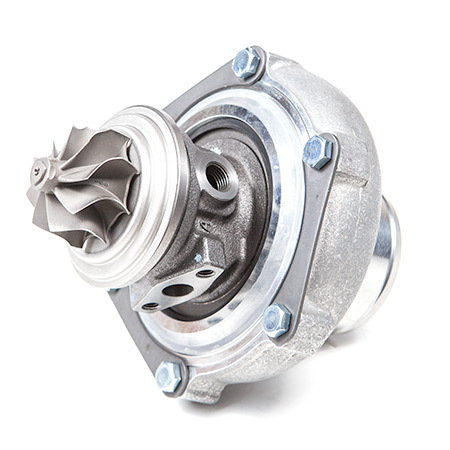 Likely the most popular turbocharger configuration for performance minded boost junkies, T3/T4 turbo technology has drastically improved in recent years. Superior bearing technology, billet wheels, improved wheel and housing design, and lighter weight materials have driven these compact performers to new heights. 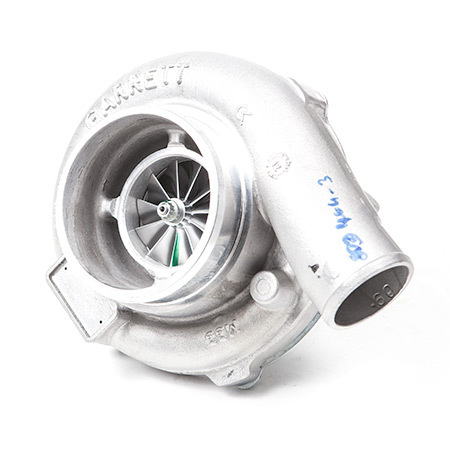 We are your source for quality components from Garrett, Borg Warner, Precision Turbo, Turbonetics, Forced Performance, and Bullseye Power. need help with oil and water lines, fittings, and gaskets? We have those too. Work with our expert staff to configure the correct turbo for your goals. The T3/T4 turbo is a hybrid. It uses the turbine from a T3 turbo and the compressor housing from a T4 turbo. This allows the turbo to spool up quickly, and run more boost, which gives you more power than a typical T3 turbo setup without the typical turbo lag that you see with T4 turbos. So what's a T3/T4 Turbo? It's a great setup for anyone who is serious about power, but also likes to drive the car around town. For power, most people run these at 12-20psi. With around 25psi at the track. If you want to go all out, these turbos are able to handle as much as 30psi of boost. Usually you'll be looking at gaining ~300whp with this setup after a little bit of tuning.